Hypertension refers to higher than normal blood pressure levels. The term "transient hypertension" signifies blood pressure that goes higher temporarily and later returns to normal. It also distinguishes this kind of hypertension from blood pressure that remains high all the time, which doctors generally refer to simply as hypertension. The things we experience in daily life can cause responses in the body, such as adrenaline release, that result in transient increases in blood pressure. Such things include anything that causes stress, fear and similar feelings. For instance, if individuals get startled or scared, their blood pressure will increase to prepare them to take action. The American Heart Association’s hypertension treatment guidelines, published in 2007, give the classic example of "white coat syndrome," in which the nervousness of being in the doctor’s office causes the blood pressure to increase. The intake of certain substances such as caffeine, nicotine and legal or illegal stimulants of various kinds may cause transient hypertension. When people intake these substance on a continuous basis, their blood pressure may remain high, since the offending substance remains with them. Physical exertion also increases blood pressure, but regular exercise does this in a good way, reducing resting blood pressure over time. When blood pressure increases due to pregnancy, called preeclampsia, the blood pressure tends to remain high. However, if the high blood pressure resolves soon after giving birth, clinicians consider it transient, even if it endures for several weeks. Clinicians can distinguish transient hypertension of pregnancy from preeclampsia only in hindsight after it resolves. Transient hypertension represents the body’s normal response to the things individuals experience and do. As such, it does not present a health risk. However, Dr. Iris Goldstein, in a 1999 study published in “Psychosomatic Medicine,” noted chronic exposure to work-related stress might cause persistently high blood pressure readings, even on days off and at night, which suggests that chronic stress may reset the entire 24-hour blood pressure profile to a higher level. Moreover, if individuals have untreated chronic hypertension, which strains the small blood vessels in their heart, brain, eyes and other organs, the additional transient increases in blood pressure can result in damage to those organs, such as stroke in the brain. Physicians do not treat transient hypertension, except in the case of transient hypertension of pregnancy, because they cannot distinguish it from preeclampsia. 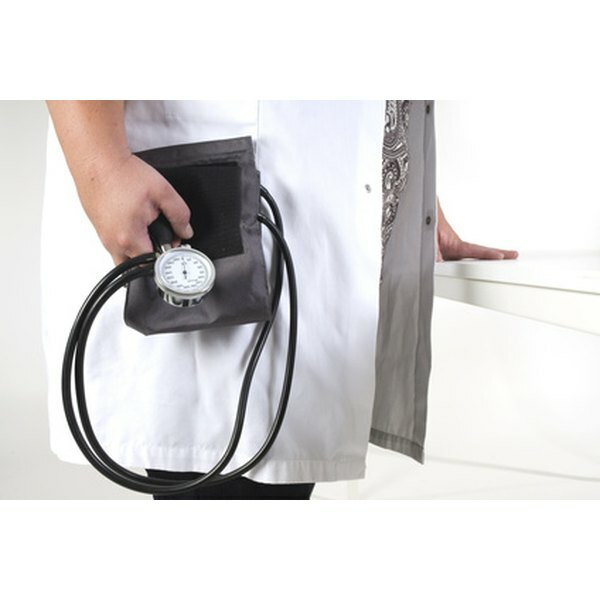 In the doctor’s office, when clinicians measure blood pressure, they have to guard against the possibility of something causing transient hypertension and a falsely high blood pressure reading. Mario Coccia began writing professionally in 1985 for the pharmaceutical industry, as well as on religion and general-interest topics. He has written for the "Journal of Family Spirituality" and the international journal, "Doctor Angelicus." Coccia holds a Licentiate in Sacred Theology from the International Theological Institute. How Much Do Friends Affect Teen Behavior?